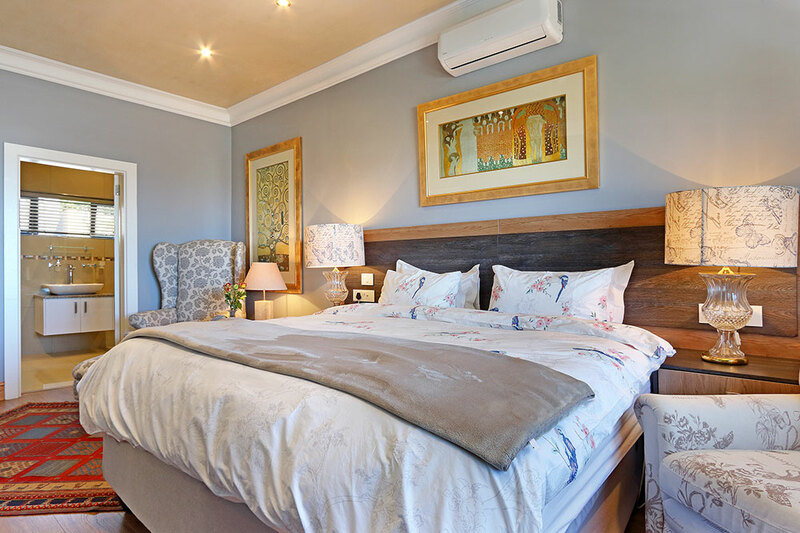 The Superior Double en-suite bedroom consists of a King size bed, 50inch HD LED TV with Self Controlled DSTV satellite channels, Air-con, mini-bar, coffee/tea facilities, electronic safe, hairdryer, USB Port sockets and Free WIFI access in the room and throughout the guest house. This exclusively designed bedroom have a luxurious bathroom featuring exquisite fittings and fixtures with a free standing designer bathtub and huge spacious shower, it have a balcony with a seating area just for 2 people or a solo traveler with exceptional views of the Atlantic Ocean, Robben Island, Cape Town Stadium and the Atlantic Seaboard. The Deluxe Double en-suite bedroom consists of a Queen size bed with en-suite bathroom featuring the finest fixtures and fittings (shower only), equipped with 50inch LED TV with Self Controlled DSTV Satellite channels, Air-con, mini-bar, coffee/tea facilities, electronic safe, hairdryer, USB port sockets and Free WIFI. 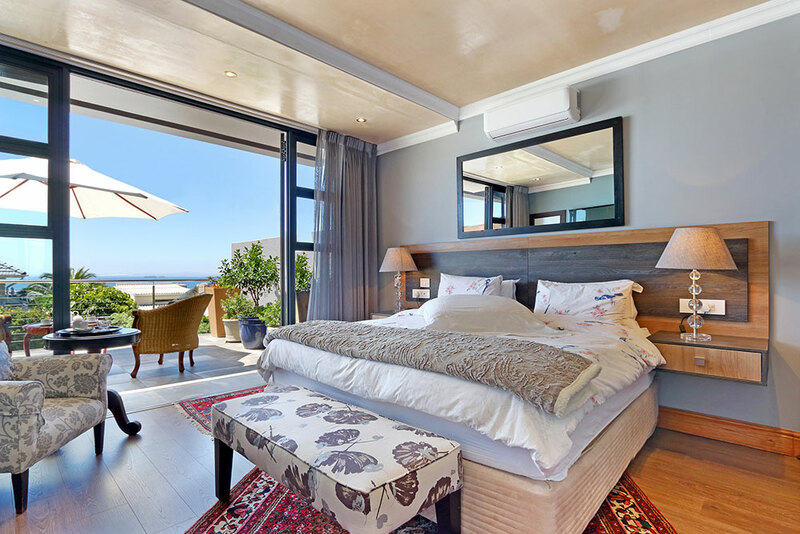 This bedroom have a balcony with exceptional views of the Atlantic Ocean, Robben Island, Cape Town Stadium and the Atlantic Seaboard. The Luxury Double en-suite bedroom consists of a King size bed with en-suite bathroom featuring the finest fixtures and fittings (shower only), equipped with LED TV with Self Controlled DSTV Satellite channels, Air-con, mini-bar, coffee/tea facilities, electronic safe, hairdryer, USB port sockets and Free WIFI. 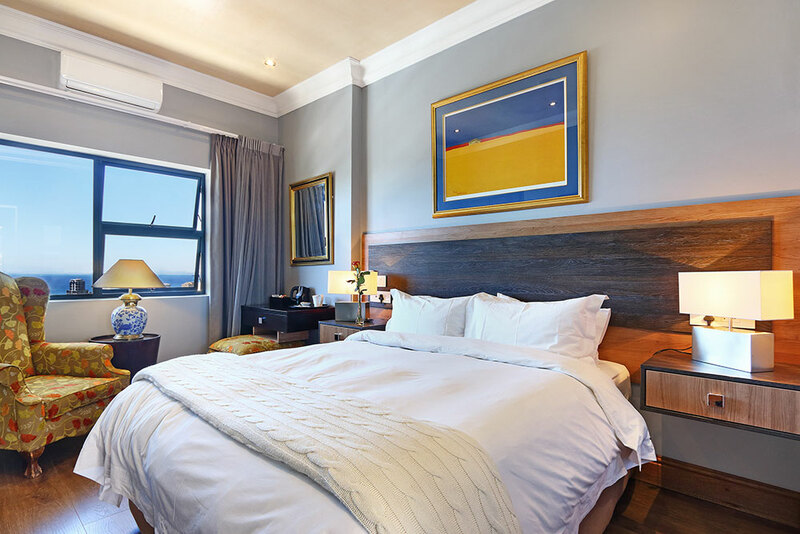 This room is very comfortable and spacious with a fantastic view from the bedroom window of the Atlantic Ocean, Robben Island, Cape Town Stadium and Atlantic Seaboard. 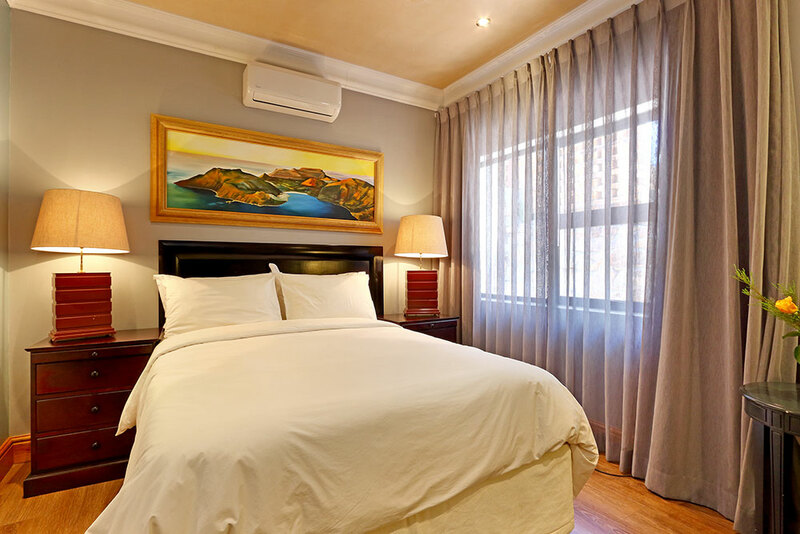 The Elegant Double en-suite bedroom consists of a Queen size bed with en-suite bathroom featuring the finest fixtures and fittings (shower only), equipped with LED TV with Self Controlled DSTV Satellite channels, Air-con, mini-bar, coffee/tea facilities, electronic safe, hairdryer, USB port sockets and Free WIFI. 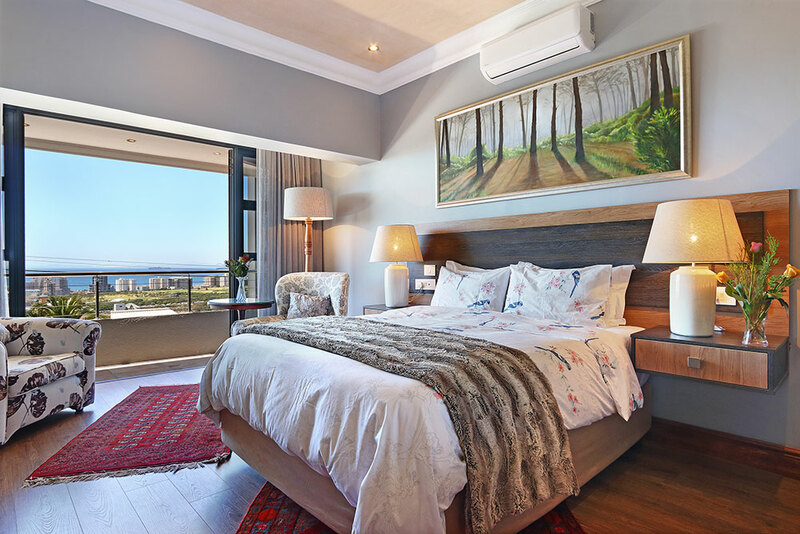 This room is very comfortable and elegant with a fantastic view from the bedroom window of the Atlantic Ocean, Robben Island, Cape Town Stadium and Atlantic Seaboard. The Comfort Double en-suite bedroom consists of a Queen size bed with en-suite bathroom featuring the finest fixtures and fittings (shower only), equipped with LED TV with Self Controlled DSTV Satellite channels, Air-con, mini-bar, coffee/tea facilities, electronic safe, hairdryer, USB port sockets and Free WIFI.